When Does Battlefield 5 Firestorm Come Out? ​When Does Battlefield 5 Firestorm Come Out? Apex Legends, Fortnite, and PUBG are the biggest names in battle royale games right now, but established franchises such as CS:GO (Danger Zone) and Call of Duty (Blackout) have also released their own battle royale games. So it was just a matter of time before EA DICE pushed Battlefield into the genre. Battlefield 5 Firestorm will be released to all players on March 25. The trailer above was released on March 14, while the game itself was accidentally leaked last week in a ​Firestorm tutorial video. From the video, we can see that players can drop onto Battlefield's largest map yet in squads. Like in all battle royale games, players scavenge for weapons and items, but in Firestorm, players can utilize air strikes and commandeer vehicles, such as a tractor towing an artillery gun. There are also helicopter, boats, and of course tanks that can be used as well, although it looks like gasoline will be a limited resource in the game. The game gets its name from the firestorm that pushes players into smaller zones. 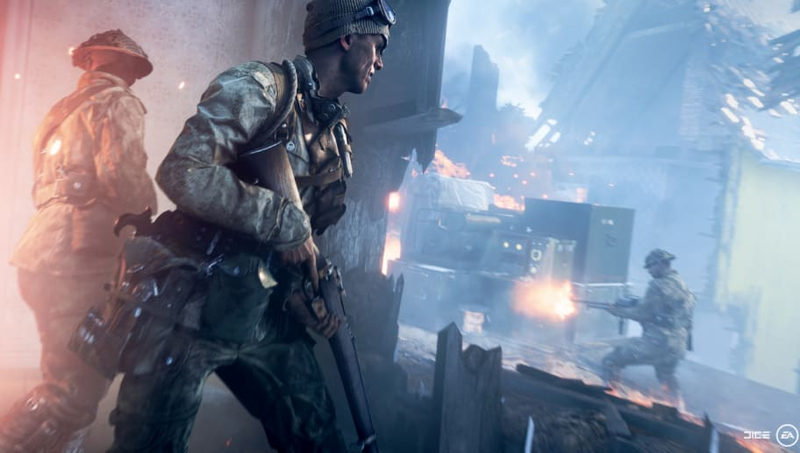 ​Battlefield 5 remains a ​relatively popular game months after its release. Players are still subscribing to EA's​ early access pass as well.